September 12, 2016 September 15, 2016 ~ Gypsy Moon Quilt Co. 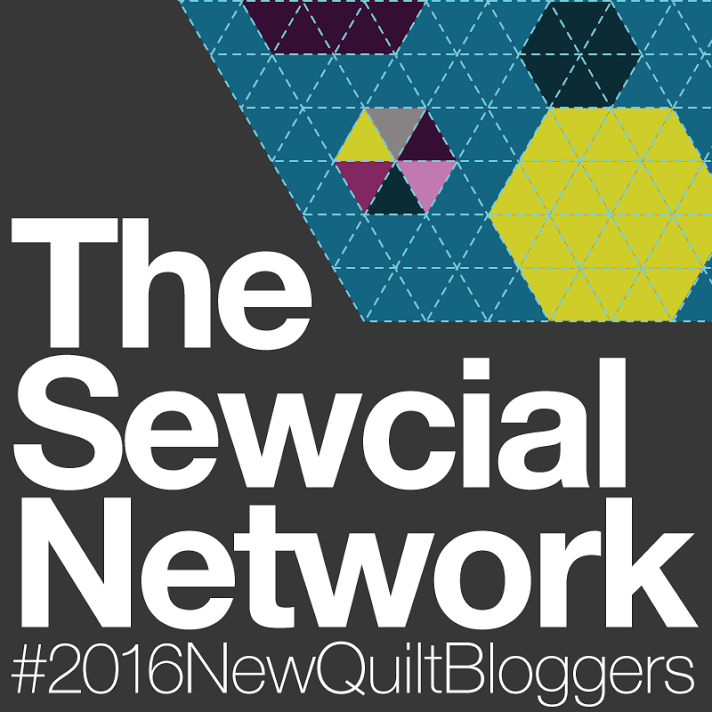 Welcome to the very first day of the 2016 Cloud9 New Block Blog hop! This blog hop is being sponsored by Cloud9 Fabrics and features a bundle of their organic Cirrus Solids – this amazingly gorgeous and oh, so soft “Berry Harvest” bundle was curated by none other than our super awesome hosts, Yvonne @Quilting Jetgirl, Cheryl @Meadow Mist Designs and Stephanie @Late Night Quiter! 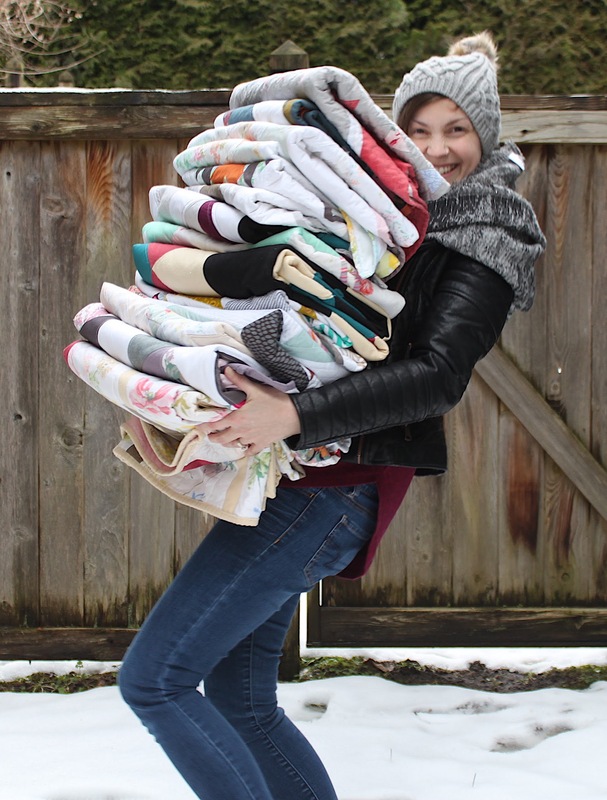 All of the new quilt blocks being created for the design challenge will be assembled together by magical quilting fairies (aka the blog hop hosts) and donated to charity! So, be sure to hop on over to the other blogs that are being featured this week (see the list at the end of this post) and check out all the wonderful new blocks – and maybe even make a few for yourself! 10) Repeat steps 8 & 9 for each of the 5″ x 2 ½” Lilac rectangles. 12) To complete the Raspberry Swirl block, assemble each set of 2 ½” squares, HSTs and 2 ½” x 5″ rectangles together, as shown in fig. 12 then sew both units to either side of your center square. Repeat for top and botton units to complete the block. Don’t forget to check out the other featured blogs listed below – and be sure to enter the GIVEAWAY on Yvonne @Quilting Jetgirl’s blog for a chance to win a Cloud9 Cirrus Solids bundle of your own! Amanda @Gypsy Moon Quilt Co. « That’s me! What a fun block and your tutorial was super clear with great instructions and photographs. Thank you, Cheryl! This was such a fun hop to participate in. Thanks for hosting! Raspberry Swirl makes me think of the most delicious ice cream, and your block is a perfect rendition of that! Love the colors and the slight swirl you worked into the design. This would make a perfect little mini quilt! Your block is dominant in the raspberry. One could also make one of the other colors dominate and it would be an entire different look! A really great block! I’m totally in love with triangles these days so this really makes me smile. I think it has amazing versatility and movement – so fun! Really love this block – great job! Thank you so much, Carrie! I appreciate your kind words! Aren’t triangles just the best? It’s funny how they can create a totally different feel just by rotating them. What a great block and I love the name! Great block! All that raspberry is very pretty. Nice job. This is such a lovely, lovely block, Amanda! Lovely job with the tutorial as well. Great name for a great block. I love that you used the lilac as the background! This is a lovely block. What a pretty block. I love the motion the triangles create. Well done, Amanda. Both your block design and tutorial are just wonderful! Amanda I really like your block. Really nice job on your tutorial. Great block, Amanda! I think you have such a great aesthetic. Your block truly reminds me of raspberry sherbet. Nice job! Thanks, Melva! I thought so too! The perfect name for a wonderful block, and your directions and photos look very easy to understand! Congratulations and well done! Gorgeous block Amanda and I love the name!! Just added to my ever growing to do list ……….Great looking tutorial aswell!! Thank you, Abigail! I have a feeling that’s going to be a pretty looooong list by the end of this week! So many beautiful new blocks! I think the name for your block is perfect. I love the spinning and swirling feel that the block gives. Thank you so much for joining the hop! This block has great movement! Great job, and nicely written tutorial! So very pretty Amanda and your tutorial is so easy to follow. Many thanks! Lovely, and it’s such a great descriptive name too. Wonderful block Amanda! Your tutorial is detailed and really well written. I totally cheaped out in that department and linked to your HST tutorial 😝. Happy hopping! Oh emm gee, Amanda I deleted your other comment by accident. Certainly did not mean to. But thank you for your kind words! Now to figure out how to get the comment back. Lol, I will do that! Thanks!!! 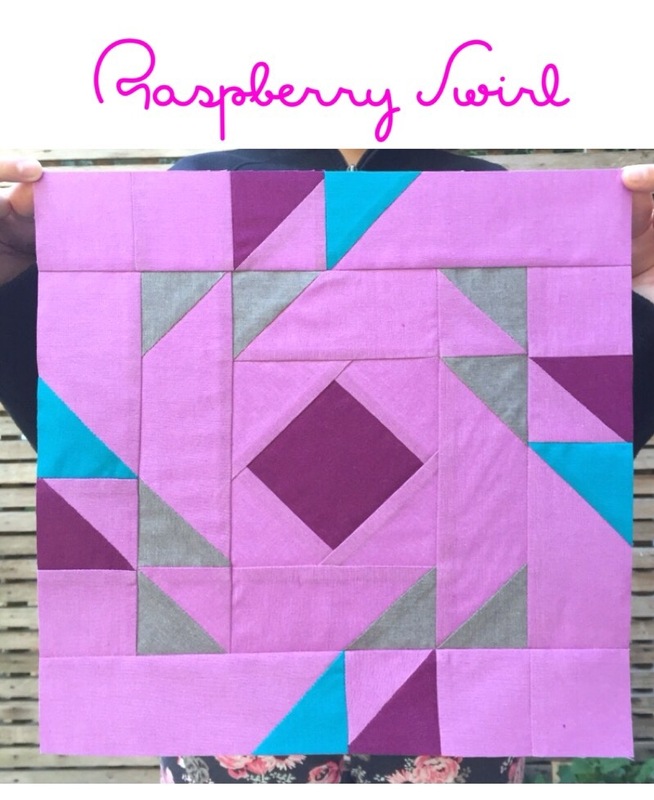 Raspberry Swirl is a great name for your block! I know I want to give it whirl!